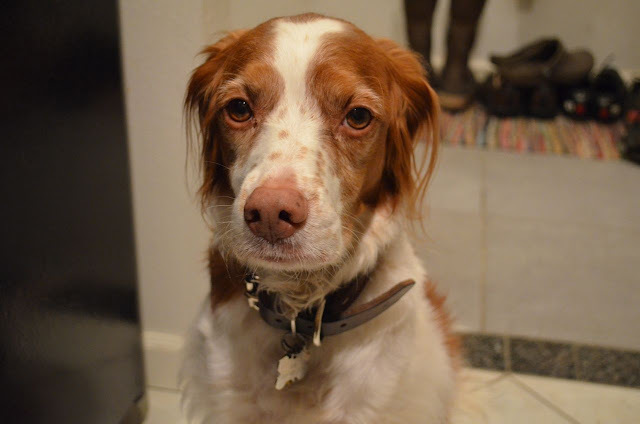 Traditionally, we have pizza for Rio's birthday (she loves our leftover crust). Since I was going to be out of town for her birthday (August 8), I promised that we would celebrate with pizza when I returned. Matt got off early from REI last night so we decided to celebrate Rio's birthday with homemade pizza. She was thrilled. I am a huge fan of homemade pizza because it is cheaper, healthier and you can customize the pizza to your own liking. Matt and I each decorated one half of the pizza with the toppings we wanted. 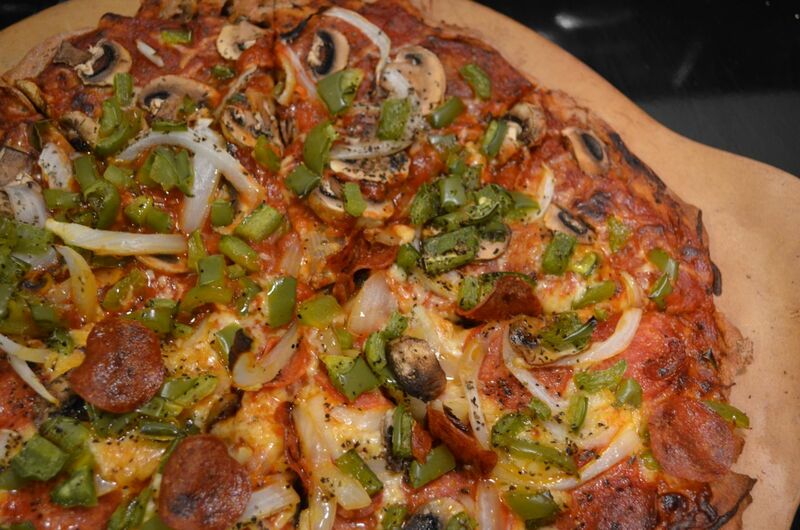 Matt added cheese and pepperoni to the veggies that we both wanted on the pizza. 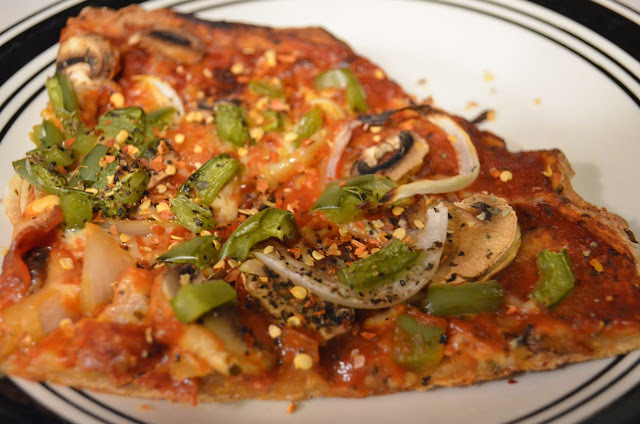 I put the homemade crust on a preheated pizza stone (key to a crispy crust), added the sauce and toppings and cooked the pizza for 20 minutes. In large mixing bowl, combine whole wheat flour, yeast and salt. Add water, oil and honey. Stir by hand vigorously until all ingredients are well mixed; about 3 minutes. Cover with towel and let rise to desired size (about ten minutes). Remove stone from oven. Drizzle 1 tsp high heat oil on stone and sprinkle 1 TBS corn meal on top of oil. Press and stretch dough on stone (crust will begin to cook). Add sauce and desired toppings. 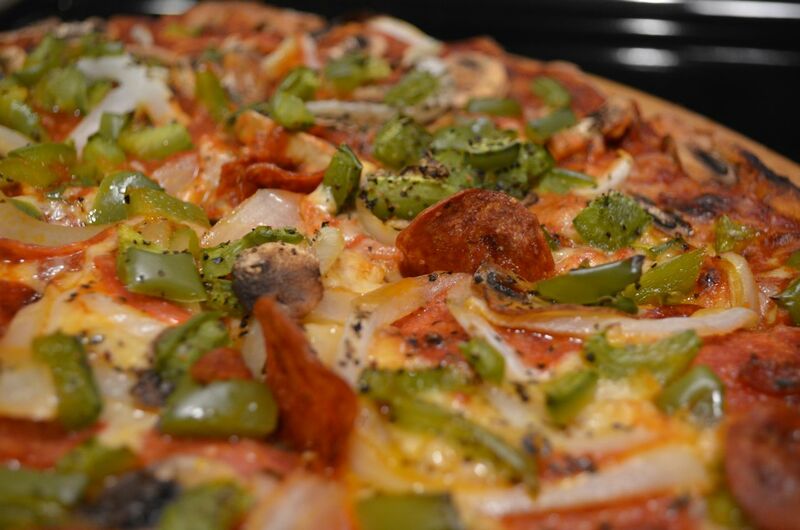 Place pizza in oven for 15-20 minutes. Remove and let set for 5 minutes. 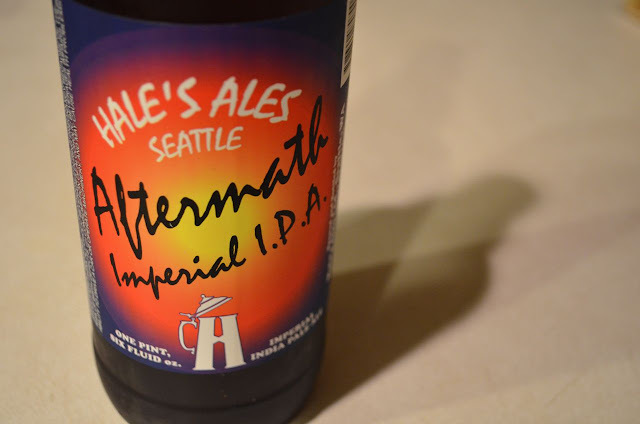 When I was in Seattle last week, I picked up a bottle of Hale's Ales Aftermath Imperial IPA, which Matt and I shared while we ate the pizza.